Emily Clark Victorson is the co-founder and publisher of Allium Press of Chicago. After receiving degrees from Oberlin College and the University of Michigan, Emily moved to the Chicago area, where she has lived for over twenty-five years. Prior to starting Allium Press, she worked as a librarian, historian, and book designer for such organizations as the Newberry Library, the Chicago History Museum, and History Works, Inc.
young adult fiction — all with a Chicago connection. Anna Michels is an editor with Sourcebooks and Sourcebooks Landmark. Fiction interests: Commercial literary fiction with interesting settings and a strong narrative voice (such as Burial Rites by Hannah Kent and The Light Between Oceans by M.L. Stedman); mystery (particularly cozy, historical, and crossover literary—think Ordinary Grace by William Kent Krueger), psychological suspense, and literary thriller. Nonfiction interests: Memoir by writers who connect the events of their lives to readers through incredible storytelling; smart practical nonfiction with a unique hook and prescriptive elements; gift books with a strong hook and graphic elements (including humor and inspiration); history (narrative and quirky reference). She is not seeking: Romance, YA, children’s books, or poetry. Some favorite books and authors she didn’t publish: The complete works of David Foster Wallace, Donna Tartt, Ann Patchett, and Jane Hamilton. Wild by Cheryl Strayed, On Writing by Stephen King, Animal Vegetable Miracle by Barbara Kingsolver. Tina P. Schwartz is a literary agent and the founder of The Purcell Agency. She seeks young adult fiction and women’s fiction. Within these two genres, she looks for contemporary/realistic stories, coming-of-age tales, sports tales, stories of family and friendship, and LGBTQ stories. She is also open to YA nonfiction. Tina admits to being a reluctant reader as a child. In fact, she says she is still very picky when it comes to choosing a book, and isn’t afraid to judge one (at first) by its cover! Ask her kids, and they won’t believe you! They’ll tell you her nose is constantly in a book, or staring at her Kindle Fire, her iPad mini, or even reading manuscripts on her phone! When not reading manuscripts, marketing website, social media, or industry blogs, you can find Schwartz on her laptop enjoying her own writing time. Schwartz is an active member of the Society of Children’s Book Writers & Illustrators (SCBWI). 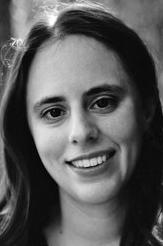 Alexandra Weiss is a literary agent with Jennifer De Chiara Literary. Within young adult, the genres she is most interested in representing include realism, science fiction, and fantasy – but also stories that include magic (think The Raven Cycle series by Maggie Stiefvater and The Night Circus by Erin Morgenstern) are her favorite, as are stories that include space and science. She loves stories that include diverse and risk-taking subjects, including culture, race, sexuality, and identity. She also seeks all types of adventurous, silly, and out-of-the-box children and middle grade books. Books with or without pictures intrigue her, and she is most interested in a character-driven story and big plot to explore. Concerning adult fiction, she is looking for strong literary voices that take the notion that every story is a love story to new levels. She seeks interested in complex relationship stories that surround something bigger. Alexandra is open to most adult genres, but heavy mystery, horror, or thriller stories are not for her. Books that are written in or include uses of uncommon formats (uses of letters, screenplay, photos, poetry, or collection of short stories or essays) is another unique quality she looks for. Alexandra is a Books Writer for Bustle.com and PR Manager for a Chicago circus. She previously worked as an Acquisitions Editor for an award-winning anthology and holds a BFA in Creative Writing and Publishing from Columbia College Chicago.